In 2015, Travel & Tourism investment in South Africa amounted to a total of R63.7bn, or 7.8% of total investment. The World Travel and Tourism Council expects this to rise by 4.1% in 2016, and a further rise by 2.8% pa over the next ten years to R87.7bn in 2026. 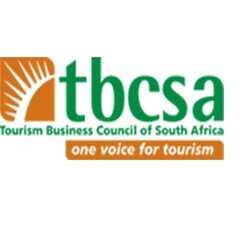 Pretoria, South Africa: The Tourism Business Council of South Africa (TBCSA) says the appointment of new Cabinet Ministers in the Tourism, Transport, Home Affairs and Finance portfolios, in particular, present mixed fortunes for the travel and tourism industry. 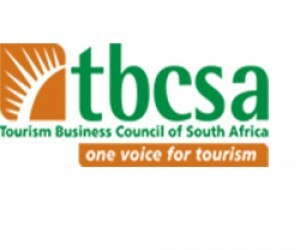 Responding to the Presidency’s recent announcement of a Cabinet reshuffle, the TBCSA says having two female leaders at the helm of South Africa’s travel and tourism public sector sets a new precedent for women empowerment in the industry. However, the Council has also added its voice to that of the broader business community, lamenting the uncertain political ramifications of the reshuffle on the economy. “First and foremost, we congratulate Ms. Tokozile Xasa on her appointment as the country’s first female Minister of Tourism”, says TBCSA CEO, Mmatšatši Ramawela. “Ms. Xasa has served as Deputy Minister of Tourism since 2009, and is thus familiar with the dynamics and issues in the sector. During her tenure as Deputy Minister, she amassed the necessary knowledge and experience which should stand her in good stead in her new role”. We further extend a warm welcome to the newly appointed Deputy Minister of Tourism Ms. Elizabeth Thabethe”. The Council says Xasa’s appointment will provide a level continuity for the travel and tourism industry. It has however highlighted that it was unclear how changes in other Ministerial portfolios – particularly at National Treasury and the departments of Home Affairs and Transport – will impact the industry. “There is anxiety that the reshuffle is likely to impact engagements and programs that are already underway in collaboration with different role-players within government”, says Ramawela. At a broader level, the TBCSA is also concerned about the impact of the reshuffle on the goodwill and momentum generated between business and government in the past twelve months. “In the past year, stakeholders from sectors with significant economic growth potential such as travel and tourism have worked with their respective government departments in a joint effort to redirect the country’s economy towards an accelerated growth path. We hope the reshuffle will add to the positivity that is being reflected in the recent inflation figures, consumer confidence levels, the foreign tourist arrival figures despite the decline in domestic tourism numbers, and by extension our collective efforts, in the interest of our economy and the country”.